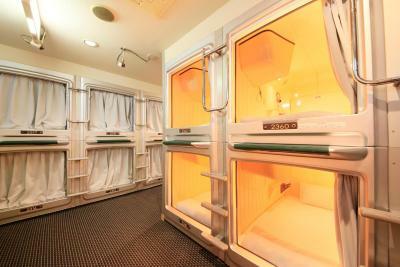 I love this capsule hotel near Ueno Station for its spa facilities and authentic capsule hotel experience. 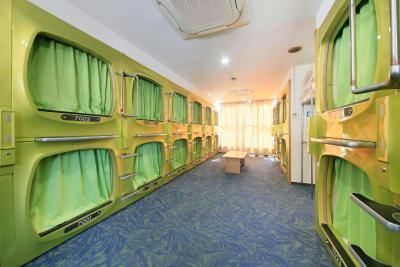 Usually cell hostel are too dry however here is comfortable. not too dry too wet. I was worried that the staff would only speak Japanese. However, a female employee spoke fluent Korean and gave me good tips on how to navigate my stay in Japan. Another good point is that Akihabara is less than a kilometer or so away on foot and the nearby metro station connects to Narita International Airport. I've been to all 3 Ueno Station Hostels. I stayed here for 5 days. This one is nearer to Okachimachi Station than Ueno Station, which is helpful if you go to Uniqlo a lot (there's a big one beside Okachimachi Station). You can use the lift to go to all the floors (Oriental 2 doesn't unless you're injured like I was). Shoe lockers are right at the entrance, which is convenient, but in winter your shoes will get cold (worse, icy if full of sweat), so place them further in, nearer to the lift where it's warmer. Nice experience to sleep in a capsule, you sleep well in it. The best thing about this place is the price. Free utilities (shampoo, etc.). Location was very close to Ueno Station, lots of restaurants surrounding the area. The staff were kind, but couldn't speak in English, that made it a bit difficult when explaining the basic rules and facilities of the place. 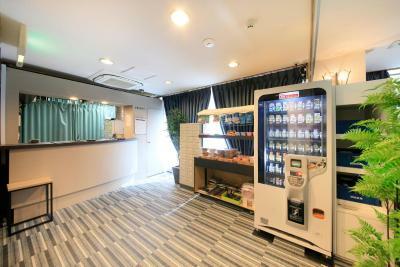 Location is good - 5 minutes walk to Ueno station. 10 minutes walk to Akihabara. About 20-30 minutes train ride to Shinjuku/Shibuya. 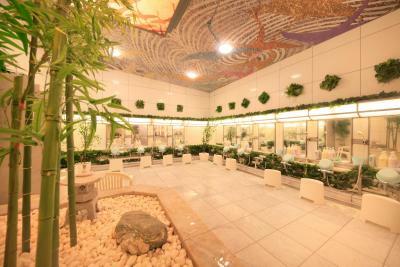 Services are amazing - onsen available on site and staffs are courteous. 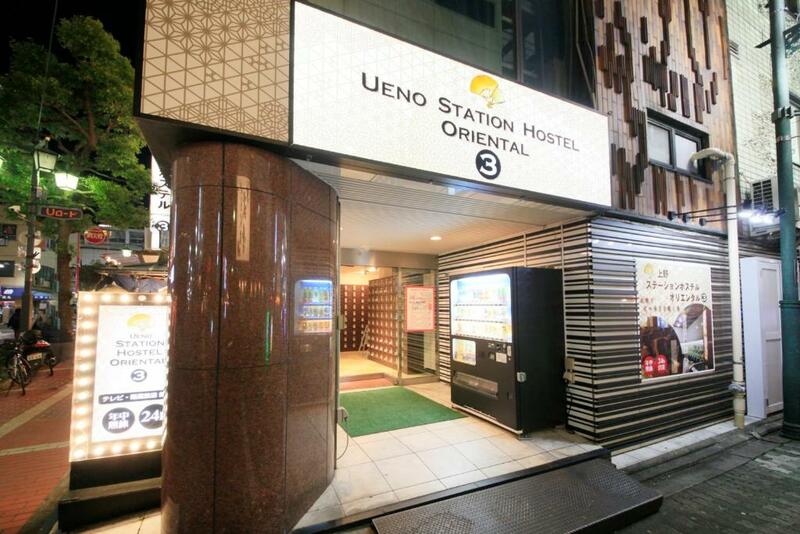 Ueno Station Hostel Oriental Ⅲ(Men Only) This rating is a reflection of how the property compares to the industry standard when it comes to price, facilities and services available. It's based on a self-evaluation by the property. Use this rating to help choose your stay! 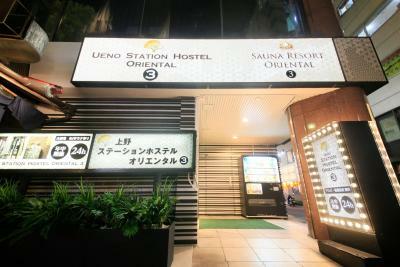 Located in the lively Ameyoko shopping area, Ueno Station Hostel Oriental III provides male-only capsule accommodations with hot tubs and saunas. 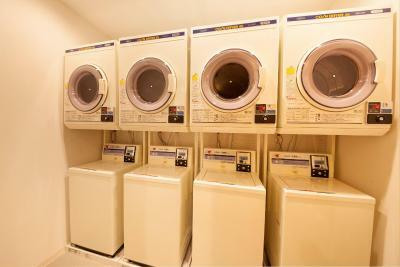 Free Wi-Fi is available throughout the property, and coin launderette can be used on site. Each capsule comes with a TV, a radio and an alarm clock. Free toiletries and towels are provided at the public bathing area. A personal locker can be used to store luggage. 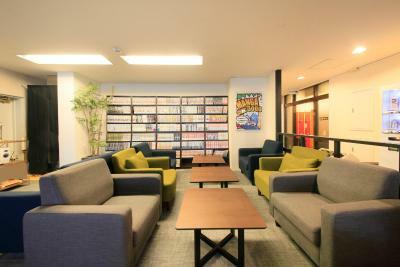 Ueno Station Hostel Oriental III offers a common lounge area with a TV and free-use internet PCs. 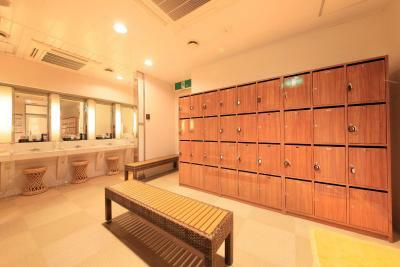 Guests can request massages at an extra charge or use drinks and food vending machines. 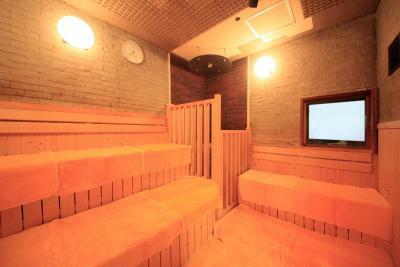 Guests can enjoy the smoke sauna and public bath at the property. 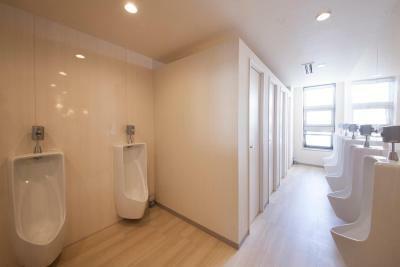 The property is a 5-minute walk from JR Ueno Station and a 3-minute walk from JR Okachimachi Station. 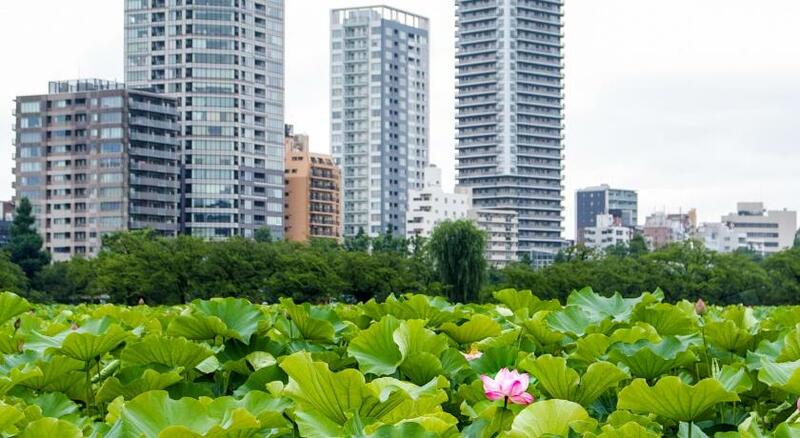 Popular tourist sites such as Asakusa, Akihabara and Ginza can be reached within a 10-minute train or subway ride. Tsukiji Fish Market is a 12-minute subway ride away. No meals are provided at the property. There are many restaurants and bars in the area. 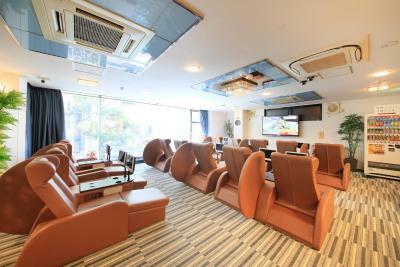 When would you like to stay at Ueno Station Hostel Oriental Ⅲ(Men Only)? Each capsule has a TV, a radio and an alarm clock. Free toiletries and towels are provided at the public bathing area. A personal locker can be used to store luggage. House Rules Ueno Station Hostel Oriental Ⅲ(Men Only) takes special requests – add in the next step! Ueno Station Hostel Oriental Ⅲ(Men Only) accepts these cards and reserves the right to temporarily hold an amount prior to arrival. All payments are settled locally at the property. Guests must check in by midnight. This is a male-only property. There are no electricity converters at this property. If needed, please bring appropriate plugs with you. Guests can extend their check-out time up to 19:00 at an additional charge. Please ask at the front desk for more detail. Please inform Ueno Station Hostel Oriental Ⅲ(Men Only) of your expected arrival time in advance. You can use the Special Requests box when booking, or contact the property directly using the contact details in your confirmation. Near the station, sauna is a plus but the building is old and smelly. I have tattoos which is a normal part of my culture, I understand that tattoos are generally linked to criminal syndicates in Japan so felt uncomfortable that I was expected to cover them up in the shared showers, it would have been nice having at least one private shower that meant I wouldn't have to cover myself with a towel whilst showering. Well, the staff could learn more English. Some of them spoke it, but not many. Price was good. So was location. Since I last stayed here they have hired English speaking staff. I come to Japan for an authentic Japanese experience and to improve my Japanese. Funny thing is, my review from three years ago said to avoid this place if you don't speak Japanese nor know the etiquette of capsule hotels. Well, now I would say this is the place to try your first capsule hotel experience, especially if you don't speak Japanese. The place is a little run down, and therefore, looks a little dirty. The carpets did not look like they have been changed for many years and look moldy and smell in places. They do deodorise them, but it does not always cover the smell. 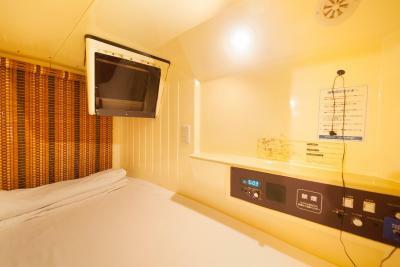 Other guests can be a tad noisy near the capsules, but that is the same as in all other capsule/budget hotels. 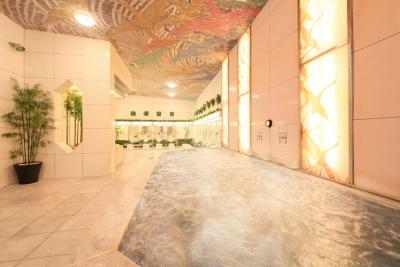 Great bath facilities - A large hot tub, a bubble spa, a cold bath, and a sauna, with over 10 open showers. The price is fantastic (I paid AUD25/night). The location is right in the middle of Ueno market but you can't hear the hussle and bussle outside. Can't get any closer to shops, restaurants, subway, train station, and airport trains. Very close to Ueno park where most of the good museums are, including the National Museum. This hotel is situated in one of the best parts of Tokyo. Ueno park, Senso-Ji, Ameyoko. In shinjuku there are so many black men and hookers... this part of Tokyo is much better if you dont want to be invited to clubs on every corner. 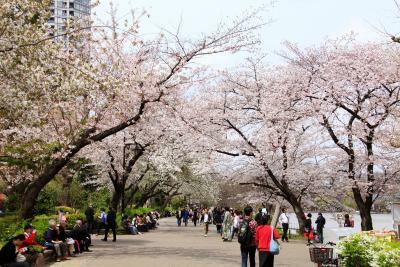 You can spend your morning at beautifull Ueno park, then go everywhere you want from Ueno station. Shared public bath. If i knew that this hotel did not have private shower cabins, i wouldn't stay in the first place. There were cockroaches in the bathhouse. The fake plants were unclean and moldy due to the high humidity. Together with the presence of the roaches, probably not the most healthy place to stay. The staff is very kind. 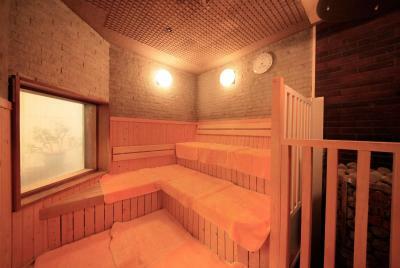 It is very nice that a sento is present (unfortunately the cleanlyness of it was doubtable). There are no doors to your sleeping unit; only a curtain. Also make sure that you ask to pay the full amount of your stay upfront and not on a per diem basis. Otherwise, everything during my stay was beyond perfect! The capsules are plastic. Noises, especially hitting the plastic, gets amplified (Oriental 1 is wood). Where the plastic has joints, they are full of gunk, some have leakages from the AC vent, which haven't been cleaned for what seems like ages., but despite that, I'll still consider the capsule 'clean', just don't go running your fingers along any grooves. Has normal toilets/WC with lever flushing (no automatic feature, heating or anything).